We could probably fill the entire thread with little things from the Metroid series. One of my favorites is in Metroid Fusion, when your computer suddenly takes on a vague, ominous tone and tells you to return to your ship for "important information". As you make your way back, you're preparing yourself to run into something terrible given the tone of the game so far, but when you get there, your computer just tells you that the etecoons and dachoras you saved earlier have stowed away on your ship. It then gives you a video feed of them sitting in there, being adorable. It's just a nice little moment that feels like a breath of fresh air when the game has mostly just made you feel helpless and on-edge so far. I **** love the Space Pirate who futilely throws himself at your ship while you're fleeing the mothership at the end of the game. I love that one of the memories in the museum at the end of Mother 3 is the single-pixel sprites of the Sesame Seeds. An already-cool little thing brought over from Earthbound to Mother 3 as if it were a big deal, even though it's a super unnecessary side quest that many players have probably missed completely. Another Earthbound one. 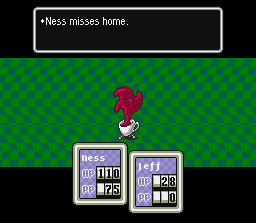 Ness (or whatever you named him) could get homesick. This isn't an Earthbound exclusive thing but I like temporary party members in RPGs, like King from Earthbound or Ghost from FF6. For some reason I really liked Ghost a lot. I'm a huge fan of subtle storytelling cues, especially visual ones. Super Metroid has a compelling and memorable narrative despite not having any dialogue whatsoever. Maybe that's more than a little thing. It's kinda the sum of a bunch of little things, y'know? You know what I like? I like care in packaging. Companies puttin a little extra in. Oh, man, and how about reversible boxart? Borderlands had that. Had it in spades. Initial release, DLC two-pak, BL2, BL2 GOTY edition, all of 'em had cool reverse covers. Then Pre-Sequel came out, and it didn't have anything. I felt strangely cheated, somehow. I mean, Gearbox put reversible boxart in 'Duke Nukem Forever', for heaven's sake, a game with so little going for it that Gamestop had it discounted to five bucks new a year after release. And yet Gearbox couldn't be bothered for Pre-Sequel. It doesn't sit right. ^They didn't develop the Pre-Sequel. It was 2K Australia's last game. Man, instruction manuals weren't aptly named because they often did much more than provide mere instructions. What a terrible loss they are, for real. I like how the map theme expands in terms of instrumentation when you beat each world. ...you know what, I'll say it if no one else will----------'Duke Nukem Forever' was okay. People sh*t on it all the time because they had weird expectations. It's motherf*cking Duke Nukem. What were you expecting, world-altering genius? Ugh. It is every bit as stupid as the earlier games in the franchise. If you expected better, then the more fool you. ^ Never played it but it seems fine to me. At least it isn't a bland realistic war game, generic space marine, or whatever. It has personality, and even if one doesn't like it, can't really take that away from it. I don't get it. People had such lofty expectations, which would be fine, except for the fact that it's Duke Nukem, a franchise built on raunchiness and stupidity. Of course DNF was going to be moronic and repetitive. Of course it was going to tiresomely repeat pop culture references. Of course it was going to treat women offensively. This is what Duke Nukem games have been from the word go, and people were just flabbergasted that DNF was absolutely a Duke Nukem game in every way. Dunno what the hell they were expecting. Personally, I went in expecting a Duke Nukem game, and I got a Duke Nukem game, and I enjoyed it thoroughly. Did more than one playthrough, at that. There is a word that resumes one little memorable thing for me: JAMES. "Never give up, my son..."
[QUOTE="Revenant User, post: 1545762, member: 35827"]Speaking of gratitude, the cry of Shaymin, the Gratitude Pokémon, sounds like it's saying "thank you!" towards the end of it. Didn't seem to observe that. The Land Form of Shaymin also seems to say the same thing. I like Shaymin a lot, my favorite Pokémon. And the 11th movie is the one I currently enjoyed the most. 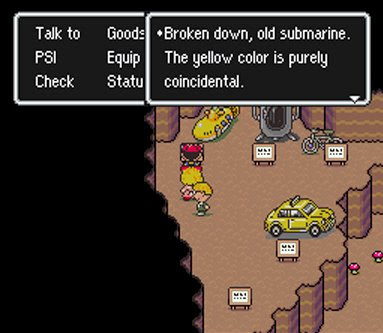 ...say, did anybody see how many Beatles references there is in EarthBound and Starfox? ...I guess that's it (for now). 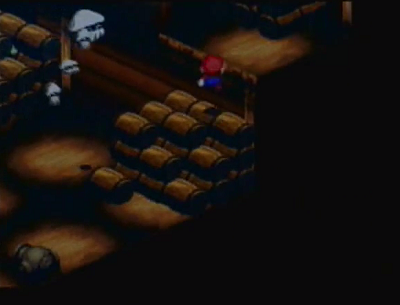 A Blooper Nanny can be found in a room of the Sunken Ship in Super Mario RPG. 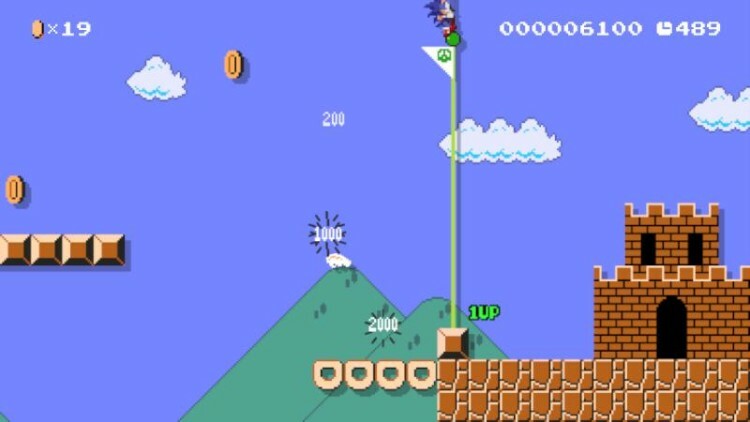 It doesn't appear anywhere else in the game, and touching it or any of its babies triggers a battle with a single normal Blooper. It really has no reason to be in the game, but there it is. And I like it. Speaking of Super Mario RPG, I always thought the Axem Rangers were a funny touch. A boss that is a spoof of Power Rangers / Super Sentai. They even swing around their weapons when they talk. Bowser joining your party blew my mind in SMRPG. He's just another team member but it's really cool.